Prototype: French State Railways (SNCF) class 232 TC fast passenger locomotive. Model: The locomotive has an mfx digital decoder and controlled high-efficiency propulsion. 3 axles powered. Traction tires. The headlights will work in conventional operation and can be controlled digitally. The locomotive has numerous separately applied details. Length over the buffers 16.9 cm / 6-5/8. 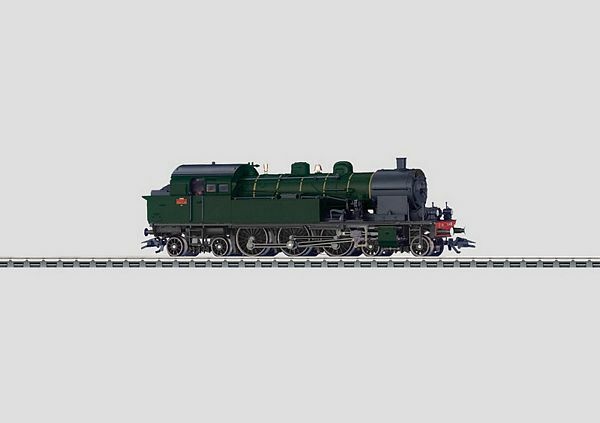 The model of the class 232 TC is the ideal motive power for the compartment car set, item no. 42040.